Remineralizing mask that favours cellular reaction. It is an ideal antidote to cellular exhaustion and should be part of any age management program. Marine compound containing essential minerals, zinc, copper, cobalt, manganese, potassium and phosphorus. Extracts of witch hazel and camomile. 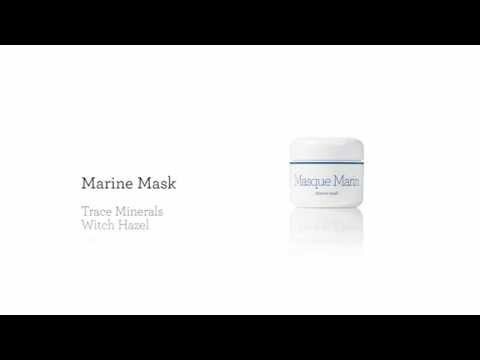 Marine Mask is suitable for mature skin but is to be avoided on inflamed skins like eczema, psoriasis, rosacea. In these cases Argini mask is the correct mask to use. Marine Mask has revitalizing and remineralizing properties that facilitate cellular reactions, thus eliminating cellular tiredness. Marine Mask facilitates the synthesis of Marine Ger-Lift’s active ingredients. After cleansing your skin, apply 1/2 teaspoon of Marine Mask by light massage all over your face and neck. Leave for 10 minutes and remove with lukewarm water. Companion product is Marine Ger-Lift cream. Can be alternated with Immuno mask. No reviews for Marine Mask yet. Would you like to be my first? There are no reviews for Marine Mask as yet. Click here to be the first. You know you want to. You are compelled to tell us how wonderful Marine Mask is! [post_content] => Remineralizing mask that favours cellular reaction.